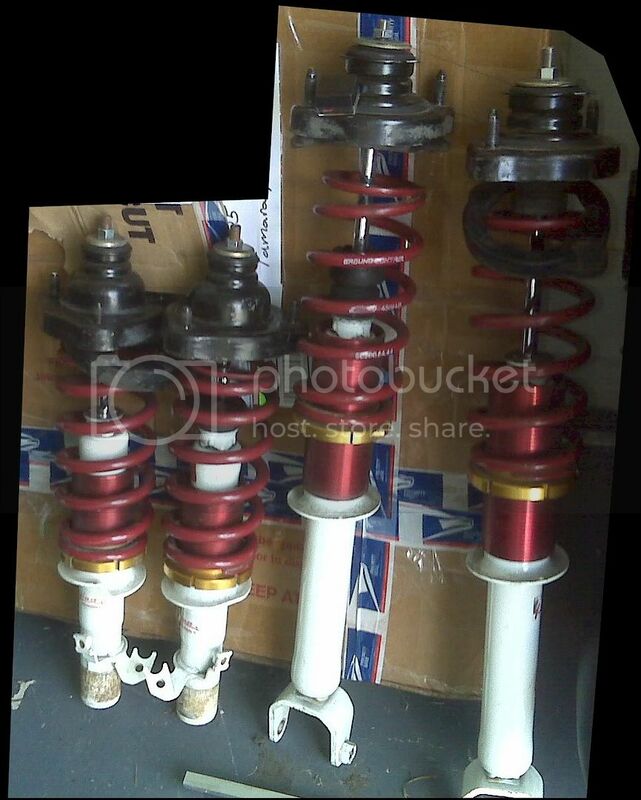 I just picked up a set of ground control coilovers, and I now realize that this question should have been asked before hand, but do you need a specific model of Ground Control for a specific strut, or will they all be applicable. Also, how come the threaded tubing is longer on two of them? Here are some pics of them, even though everyone knows what they look like. i think the longer ones are for the front and the short ones for the back...or is it the other way around? Lol as long as it's supposed to be like that I'm fine, I'll figure out which is for what later. 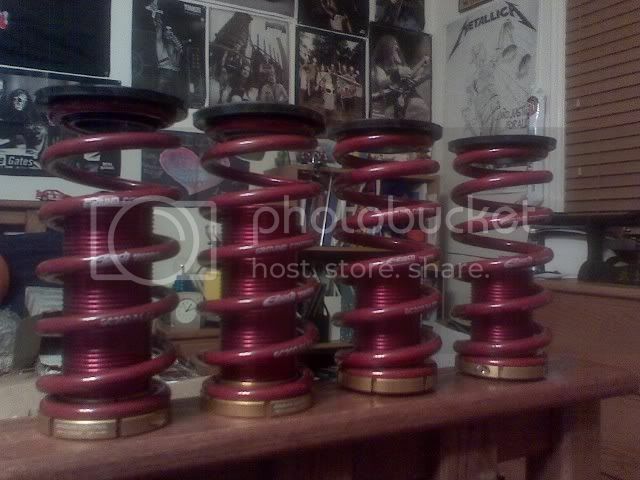 These will work with Koni Yellows? Last edited by yogi_pahl; 08-13-2008 at 02:40 AM. 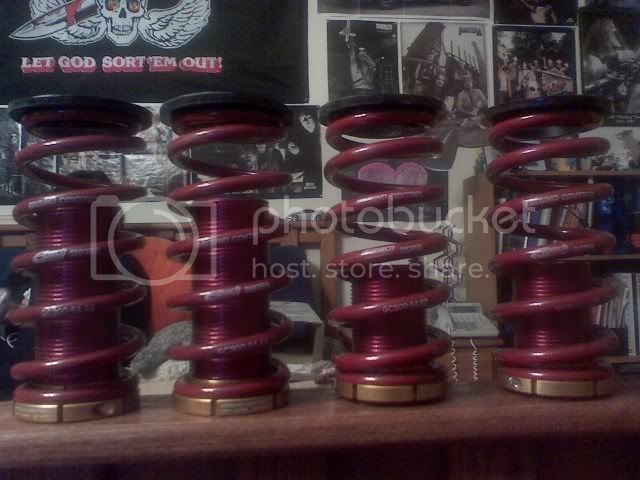 Ground Control Coilovers are made to fit with stock and aftermarket struts. Please use this list to choose the appropriate applications. 1. Some shocks/struts require grinding/machining to fit coil-over hardware . 2. Removal of stock spring seat and welding required. 3. Removal of stock spring seat and welding optional for added tire clearance and range of adjustment. 4. Trimming of stock spring seat allows added range of adjustment. 5. Removal of stock spring seat required. 6. Includes new upper mounts and must be used with machined aftermarket struts specified. 7. Includes new upper mounts. 8. 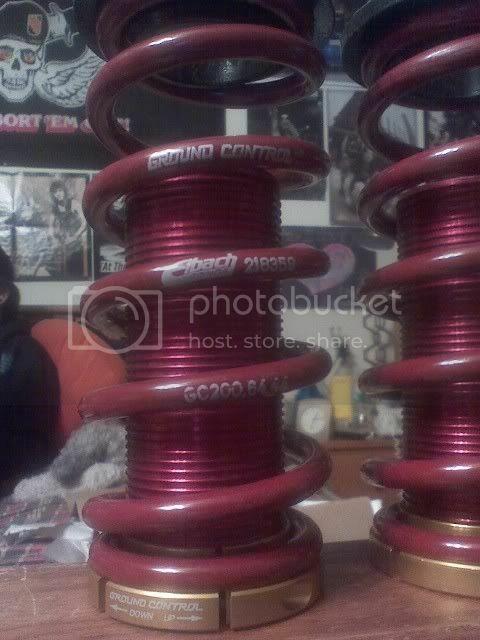 Must be used with specified shocks supplied by Ground Control (discounts do not apply to shocks). 10. Will not fit models w/ 6 bump stock front shocks. Wooo, thanks a lot for the info, should be helpful. I rock the Eibach ground control kit bub, it is an amazing kit and works perfect, plus its 4 way adjustable, so your good to go whenever! long should be the rear... koni yellows are about as good a combo as you will get if you don't want to spend over a grand on shocks... should be awesome. Longer ones are for the rear, short ones are for the front. ^ what lip is that? is there a rip off mugen that looks like that and a spoon that looks like that also? how does everyone adjust thier ride height with thier ground controls? mine are installed and i'm gonna start playing with the height as soon as i'm able to set the car on the ground. is it a matter of trial and error? I didn't get a wrench of any kind with mine. I've got allen wrenches to loosen the nut and i i guess i'll turn the thing by hand affter that. my issue is how to make sure the car sits level at any height. is it safe to assume that the lowest most setting on all four sides = lowest and even on all for sides? for some reason mine came (from the previous owner) with the fronts set to the lowest possible, and the rears kidna half way up. so should i just set them all to the lowest and then count the number of turns and do that equally on all 4 sides?